The anodised aluminium handles on the knives shown in this catalogue are particularly well suited to laser incision customising. 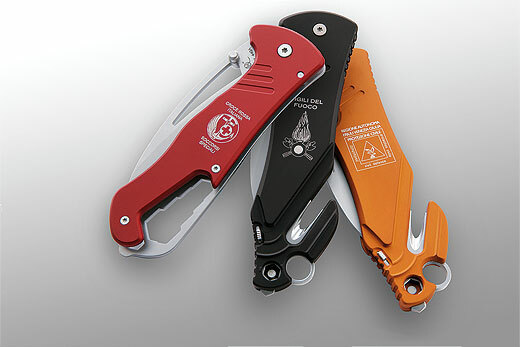 Laser incision removes the colour formed by the anodising process and the result is therefore the uniform single light grey shade of the original aluminium. Laser incision can also be performed on the blade and offers an excellent sense of contrast. This type of incision is permanent, cannot be modified and adds a degree of exclusivity to a product. For the reproduction of brand names and logos, proof of ownership or authorisation must be provided and the logo or brand name needs to be provided in digital EPS or TIFF format. Please contact us for further information about prices and minimum batch sizes for this type of customising. 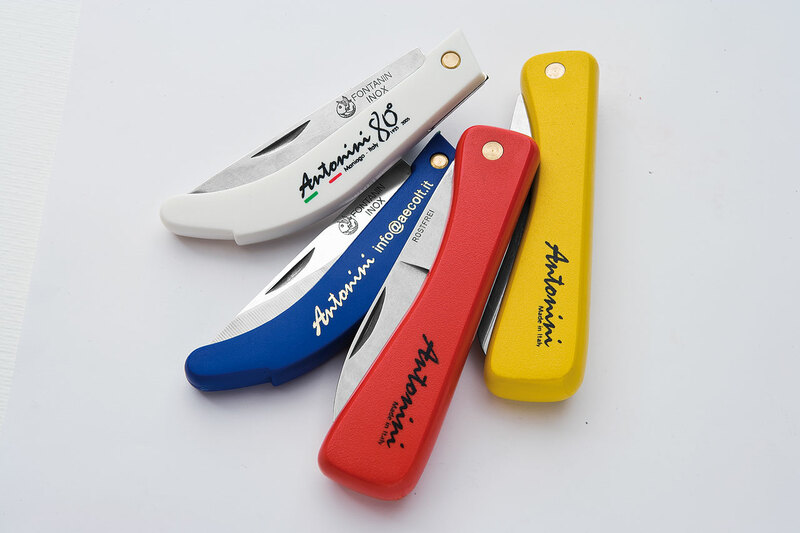 All knives with plastic or wooden handles can be customised with logos and company details. The methods that can be used are thermal printing (for fairly simple logos or text), tampography or serigraphy with single or multiple colours. 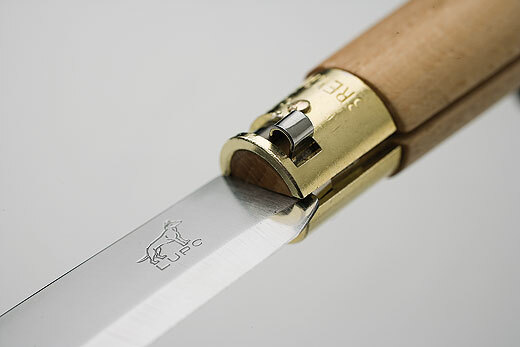 The blade can either be salt-etched or laser-marked to give the product a particularly distinctive style. Proof of ownership or user authorisation must be provided for printing logos or brand names. The logo or brand name to be printed must be provided on file, preferably in digital EPS or TIFF format. On request, estimates and minimum batch sizes can be given for this type of customising.